Didn't managed to find opportunity that fits your criteria, or have a proposal. Contact us. Despite the uncertain reputation of Ukraine, it remains of the most underrated and emerging markets of the CEE. Ukraine is the biggest by territory country of Europe with 40+ millions of population that chose European integration as their vector of development. Business in ukraine applies common approach to doing business. 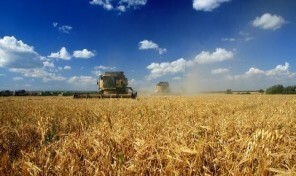 Ukraine is reliable trade partner in agriculture, defense, aerospace and other sectors of economy. Doing business in ukraine is easy and complicated in the same time. Easy, because of high number of business opportunities in ukraine, and complicated due to specific regulations and not fully formed ukraine business culture. All this is result of comparable young age of country after independence, 25 years ago, there were no private business at all, and only now, ukraine business is finally starting to become familiar with international principles and habits. Nevertheless, business ukraine is developing rapidly and is learning fast. The spirit of entrepreneurship was living in Ukrainians for ages. Ukrainians are very clever and successful in creating high tech and high value adding products. At the same time, they are very hard working in agriculture or manufacturing industries. The economy of Ukraine is diversified, that opens many business and investment opportunities for companies and people who wanted in ukraine doing business. Ukrainians are familiar with IT industry and are well known as number one IT outsourcing regions. In addition, the high number of Ukrainians are seamen, and deserved their place as first class marine staff. Now, the most opportunities are among export-oriented products, agriculture, IT, energy, infrastructure and others. With Investment Ukraine, you will be able to find the best assets and investment opportunities available. At some stages after starting a business in ukraine or in case of discovering of new investment opportunities, your company will need to create additional value to ensure the long-term sustainable development of company. Currently, assets in Ukraine and cost of labor create the possibilities for relocation and decrease of expenditures. The common Ukrainian is fully capable to make any type of high qualification job for much less, than in many other countries, and comparing to Asian countries, for example, transportation cost and time will be significantly less. We believe that now, when low number of companies discovered that opportunity is time to invest in ukraine. Investments in ukraine are mainly making by local partnerships and banks. 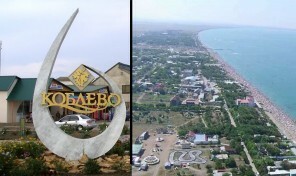 Foreign investment in Ukraine is mostly coming from offshores, founded by local businesspersons. At the same time, Ukrainian assets are popular among industrial and financial companies that perform significant inflow of FDI year by year to Ukraine. The major number of ukraine foreign investment was coming to private financial sector, like banks, insurance companies. Almost all of them were subject to merge or acquisition transactions. Some companies went to IPO and purchased by high number of individual investors. According to common investment banking principle any venture called invest ukraine has high risks and high gains potential. However, believe, it worth that, number of foreign companies ensured their long term development by investing and doing business in Ukraine. Meanwhile, the task to discover nice opportunities for investing and starting business in Ukraine was puzzled by lack of powerful instruments that put all the opportunities in one place. With that purpose, we established Investment Ukraine. Nationwide investment platform. The project, where funding seekers and business owners can find funding among different type of investors worldwide. Moreover, investors will see together all the investment opportunities of Ukraine. In few clicks, you can check what business for sale in ukraine is available now. What is payback period, risks, amount of investment needed, and many other things, that will keep you informed regarding current opportunities, and will quickly identify and go ahead with our support, if your business will need to growth by ukraine business for sale, that is. Investment Ukraine. Nationwide investment platform is unique not only for Ukraine; developers did not met many common projects in other countries as well. Currently, this project has fully taken the role of Investment promotion agency of Ukraine. Many investors from different part of the world found investment opportunities in Ukraine and are successfully doing business with local partners, who one day send the announce regarding funding to the administration of Investment Ukraine platform.